It means that “Big Oil” – companies such as BP, Shell and ExxonMobil – will have to play second fiddle to Petrobras for access to Brazil’s vast reserves. Petrobras aims to more than double production over the next decade to 5.4m barrels of oil and gas a day, which is likely to be the most produced by any publicly quoted company in the world. BP was the biggest producer last year, at just under 4m barrels per day, but has indicated in future it will produce less as it restructures and sells assets following the Gulf of Mexico disaster. ExxonMobil – which had been overtaken by BP – is aiming for growth of about 2% or 3% each year over the next few years. 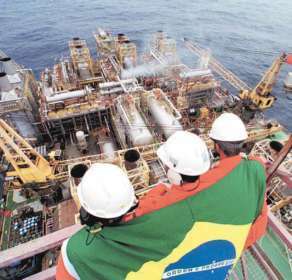 Only 10-15% of Petrobras total hydrocarbon production comes from gas, in stark contrast to other publicly traded energy companies, Barbassa said. More than one third of BP’s production is made up of gas, while Shell is planning to produce more gas than crude by 2012. Fatih Birol, the chief economist of the International Energy Agency (IEA), last week said that “Big Oil” was suffering an “identity crisis” because companies found themselves shut out of oil producing regions such as the Middle East, forcing them to reposition themselves as gas producers. In September, Petrobras raised $70bn (£43bn) in the world’s largest ever public offering, leaving the Brazilian government with a 55% stake. 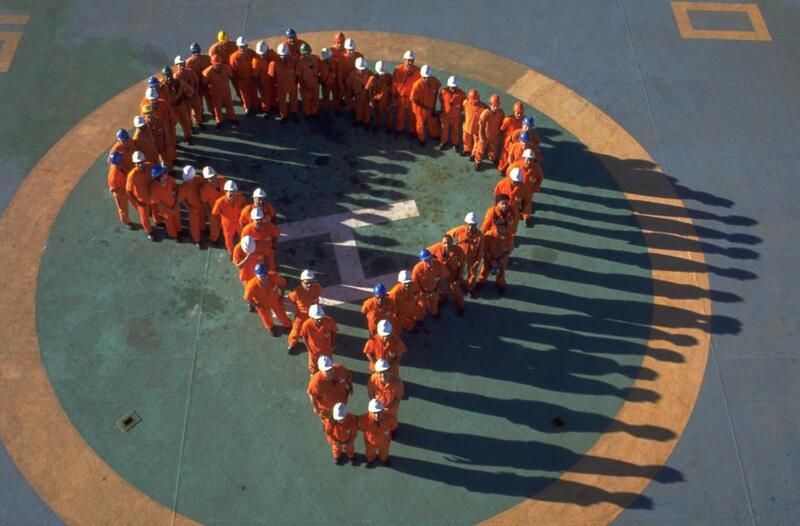 A series of huge finds in the last two years are behind the meteoric rise of Petrobras. They are called “deep salt” because they lie as deep as four miles below the seabed beneath a massive layer of compacted salt. 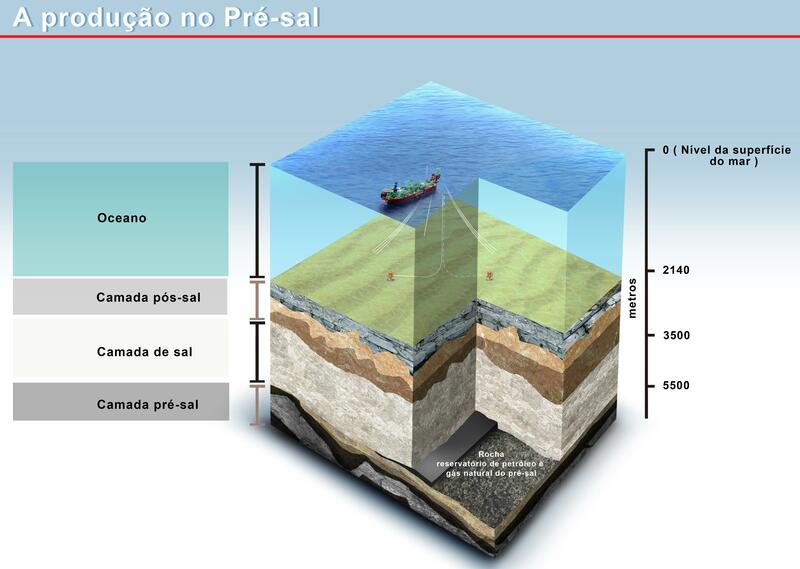 The pre-salt cluster lies in a 500 mile strip about 170 miles off the coast of Brazil in the Atlantic Ocean. 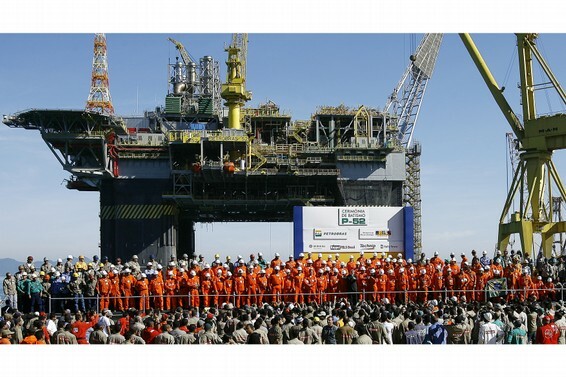 Petrobras has booked “recoverable volumes” of up to 15bn barrels of oil and gas, giving it a total reserve base of at least 30bn barrels, from just 11.5bn barrels of proven reserves in 2006. Exploration continues, with total pre-salt reserves estimated at 50bn-100bn barrels, on a par with Russia and Kuwait. Petrobras is likely to capture a major chunk. ExxonMobil’s total proven reserves is about 23bn barrels. Juliette Kerr, analyst from IHS Global Insight, said that Petrobras had been relatively cautious in announcing recoverable reserves, which need to be verified before they are classified as “proven” by regulators. 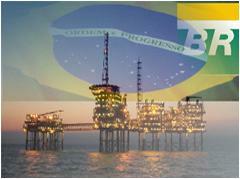 But she cautioned that Petrobras would have to overcome considerable technical challenges to exploit the oil. 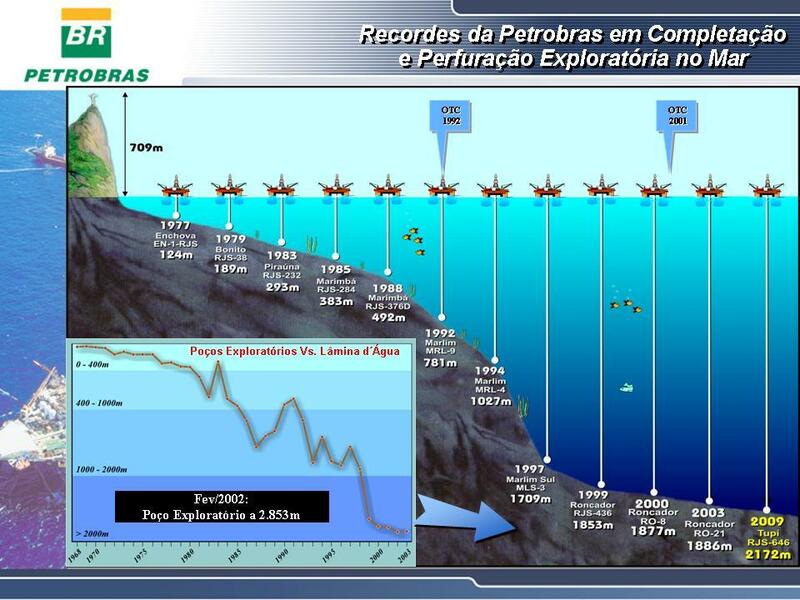 Petrobras aims to spend $224bn over the next five years to develop the new discoveries. According to the IEA, in 2010 Petrobras will have spent $44.8bn on investment – more than any other publicly quoted company in the world and over twice that spent by BP – and up by 28% on the previous year. Brazil’s president, Luiz Inácio Lula da Silva, admits to being a nervous flyer. But last month, when large-scale production began at the huge Tupi “sub-salt” oilfield, he boarded a helicopter to sweep some 250km (155 miles) out over the Atlantic Ocean to celebrate the latest advance in a fledgling oil boom that will transform the future of South America’s largest nation. Until 2007, when Petrobras unveiled the massive sub-salt resources, Brazil was a medium-sized oil producer, whose reserves were dwarfed by its crude oil-rich neighbour Venezuela. Times have changed: the billions of barrels of oil thought to lie off Brazil’s south-eastern coast are now seen as a golden ticket to a future of prosperity and power. Since late 2007, when the offshore bonanza was first announced, the government has been pushing for a “Social Fund” that would channel part of the new-found oil wealth into cutting poverty and education, transforming Brazil’s social landscape forever, authorities hope. But the new riches have brought controversy. 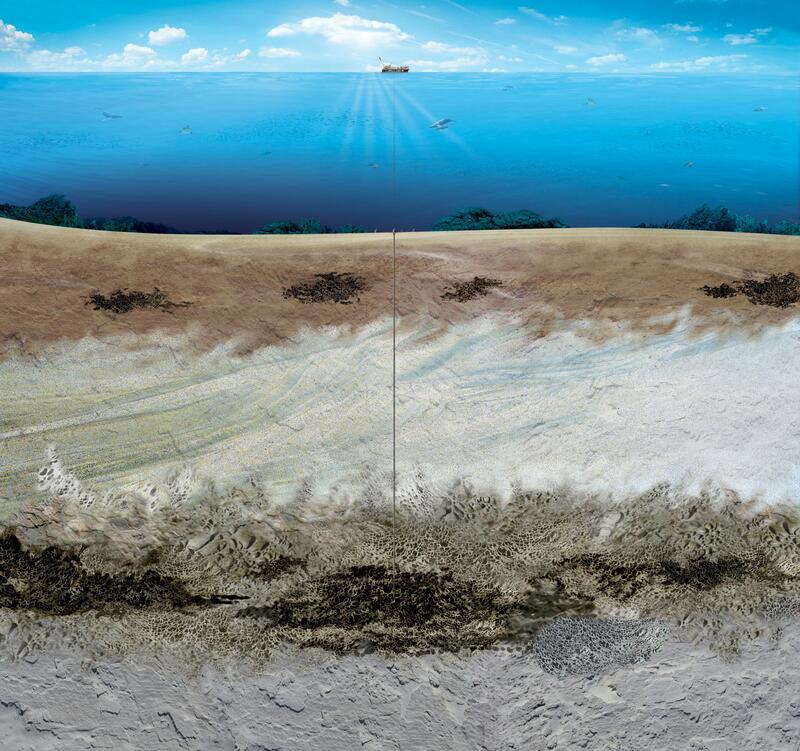 Foreign oil companies fear being edged out of the ultra-deepwater boom under proposals that would give a greater cut of future sub-salt prospects to the state and Petrobras. Environmentalists fear Brazil’s growing obsession with oil will see any bio-fuels and alternative energy suffer. After the recent Gulf of Mexico oil disaster, they are also nervous that the oil rush could lead to a similar disaster. Other critics fear the creation of a new state-run firm, to manage offshore resources will corruption worse, while Brazil’s state governments are also divided. Congress is debating drasticalteration of the distribution of royalties between the country’s 26 states, handing a greater share of sub-salt more profits to states that do not produce oil. 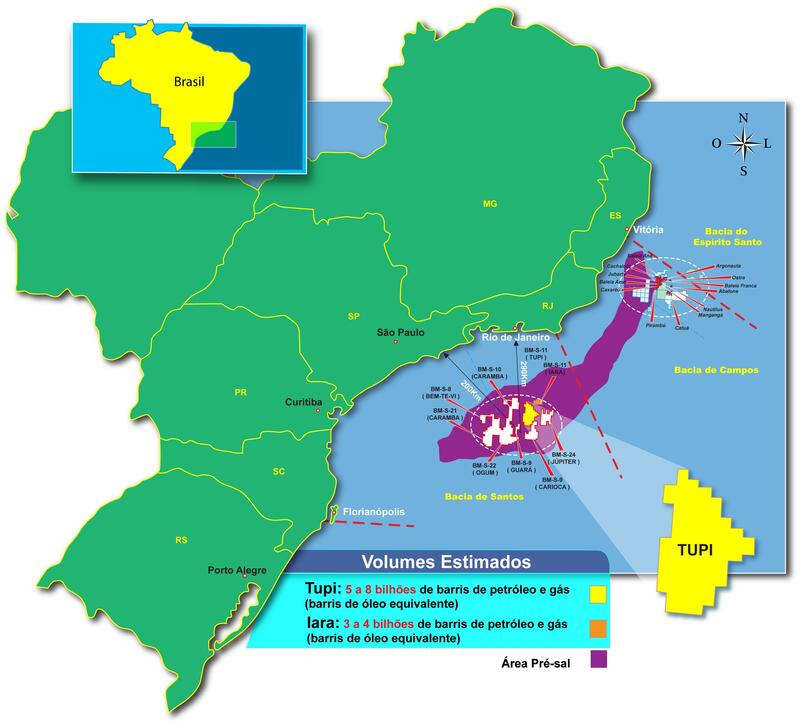 Last weekend the state government of Rio de Janeiro, one of the country’s a top three oil-producing regions, filed a lawsuit against sued the federal government, claiming the rule changes would rob Rio of resources that could be put into job creation and public services. 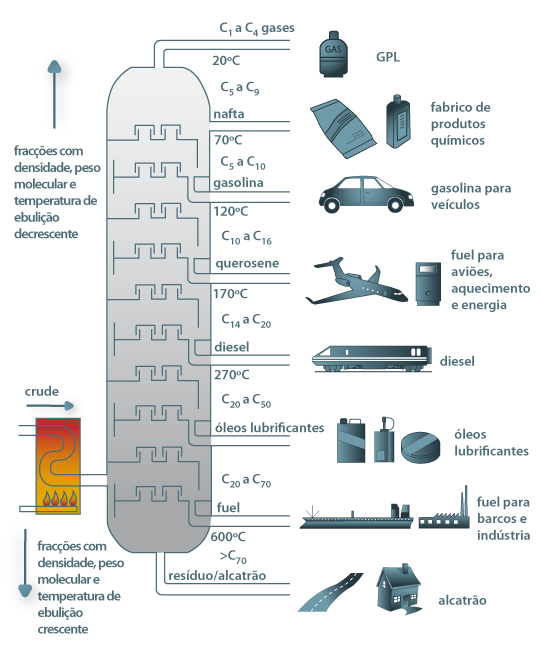 This entry was posted on 0, 16 de novembro de 2010 at 23:44 and is filed under Capitalização da Petrobrás, Desenvolvimento, Energia, História, Notícia, Petróleo, petróleo pré-sal, Petrobrás, Pré-Sal, Tecnologia. You can follow any responses to this entry through the RSS 2.0 feed. You can leave a response, or trackback from your own site. equipos y métodos llegando a kilómetros de profundidad.